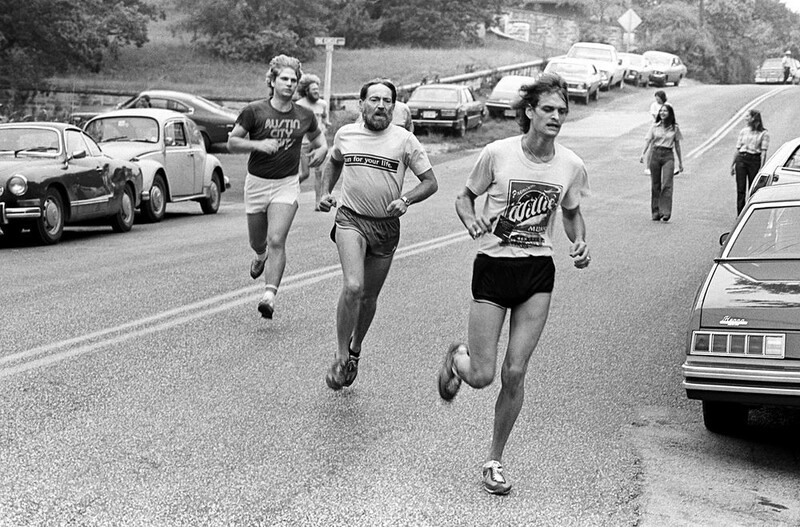 In honor of National Running Day, here are a handful of my favorite images from my favorite Tumblr, They Call Us The Seekers. Before I considered devoting a week’s worth of posts to David Letterman, I intended to share this story. For some time, I have been fascinated by the evolution of Dave’s relationship with a personal hero of mine, Paul Newman. For the uninitiated, I wrote a lengthy piece a couple years ago about Mr. Newman, and I have for many years prior and since emulated Paul. I read anything I can to learn more about the man’s many efforts, I revisit his incredible film career, and by that virtue I model aspects of my pursuits after those of his. During the Writer’s Strike of 1988, in order to kill time, Dave told the stories of his first pair of encounters with Paul. In the first part of the clip, he tells it on his own show. In the second part, you’ll also see him tell the story to Johnny Carson. There’s nothing particularly special about this story, but it hints at Dave’s adulation of Paul. Though Newman shrugs as he passes Letterman in the stands at an auto race, Letterman is starstruck. It’s clear from his multiple retellings of the story that, like me, he too holds the “persona of Paul Newman” as he put it in retellings, in high regard. At some point in time after running into Paul Newman at a couple auto races, the two developed a friendship, one centered around a love for cars — fast, fast cars. In certain circles, Paul was known for disguising immensely powerful engines in rather diminuitive bodies, “cue cars” as they’re known in England. His Volkswagen stuffed with a 300 horsepower Ford engine is the stuff of legend. In others, he was known as a champion race car driver. On the other hand, Dave is an Indiana boy thru-and-thru, and as co-owner of the Rahal Letterman Lanigan racing team, he is a fixture on the IndyCar circuit. While Paul’s Volkswagen is inarguably cool, this is a post about my favorite of his cars, “The Paul Newman Volvo.” One day, seemingly out-of-the-blue, Paul called Dave, and asked if he wanted a specially built Volvo station wagon. 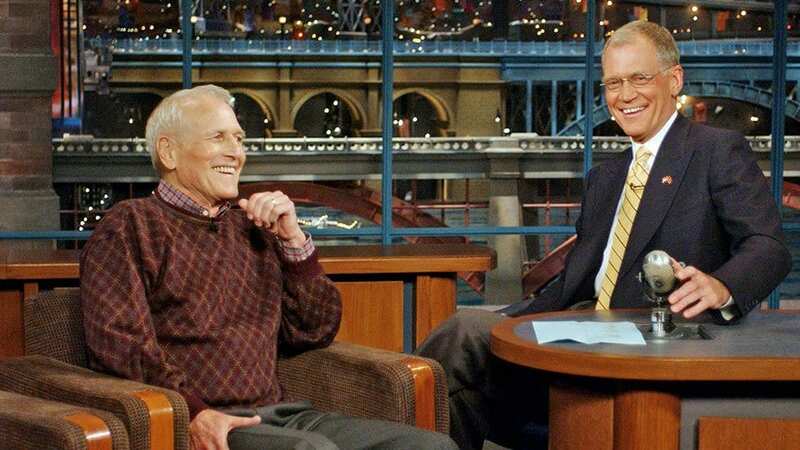 He retold his “Paul Newman Story” and introduced the world to the idea of the Paul Newman Volvo on Jon Stewart’s last-ever episode of his short-lived late night talk show. Then, he likely received a call from Paul, “Did you have to go and do that?” and revised the story, telling more of the car’s origin on Al Roker’s CNBC program, but he was careful not to name-drop, omitting any mention of Paul. 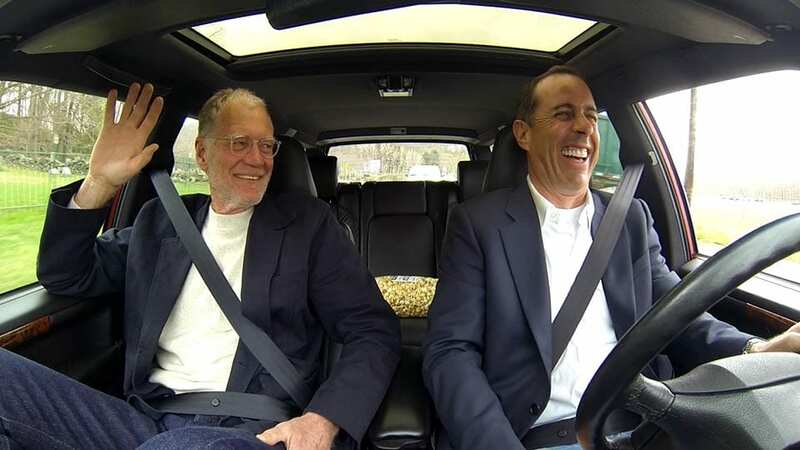 Without getting terribly personal, I’ve gone through some things this year that left me sideways, and this episode of Jerry Seinfeld’s Comedians in Cars Getting Coffee [LINK] has been an immensely helpful bit of respite. I must have watched it a hundred times. If you watch no other clip in this post, take time to watch this one. It’s Dave — the Dave of present day — as unbuttoned as I can recall seeing him, and it’s just great. I love so many parts of this: the trip to the hardware store, the part where Dave asks Jerry with some seriousness, “are these people actors?” and the overall charming, humble, soft-spoken nature of their banter. Oh, and of course, I love the car, much as I love the men responsible for them. Do you want a puffer on yours? This is a bit of inside baseball, but Stew Leonard’s which makes an appearance in Comedians in Cars Getting Coffee was Newman’s local grocery store and the first retailer to carry Newman’s Own. For more on the car itself, read Swedespeed’s delightfully detailed piece and Jalopnik’s republished version of the piece. As recently as 2013, Newman’s 960 Volvo station wagon was for sale. Newman/Haas Team Racer Sébastien Bourdais and Paul speak with Dave on The Late Show. 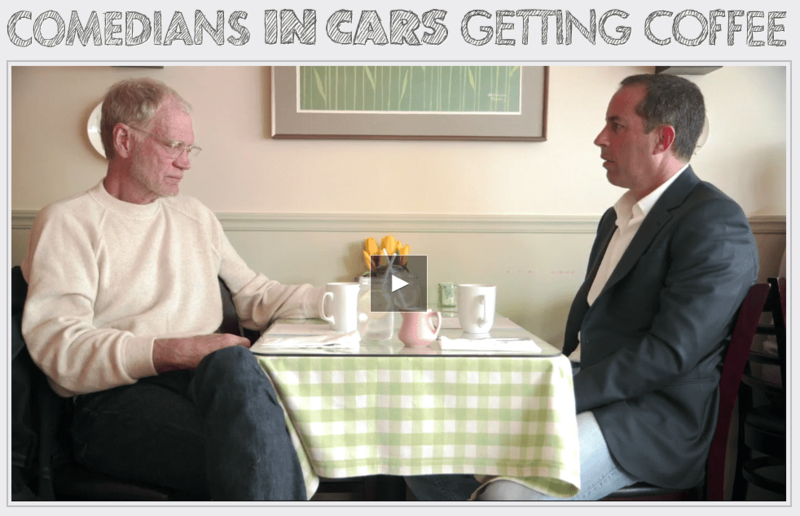 And again, one more time, I cannot say it enough, watch Dave’s segment of Comedians in Cars Getting Coffee. If Dave had been a musician…. Like Letterman, Warren Zevon was an oft-misunderstood, feeling, thinking, snorting, spitting, mad man. Like Letterman, Zevon was born in the Midwest and found early success in Los Angeles. Like Letterman, Zevon threw it all out there. Prior to a dive into his back catalog in college, I think I only owned Excitable Boy (likely thanks to you, dearly departed BMG Music Club), and I likely only listened to “Werewolves of London.” Fortunately, in the diving, I discovered an unheralded bard, classically trained by Igor Stravinsky and reared in the world of late 60s / early 70s Los Angeles (alongside contemporaries like Jackson Browne and David Geffen). Around the time I was finishing up at school, Zevon announced he had cancer. I found myself in front of the television a few times over the course of the summer of 2003 where Zevon was showing up with greater regularity as he promoted a final album, a final tour, and a final round of performances on The Late Show. Below, I’ve linked to all of Zevon’s known performances on Letterman-lead programs and the forty-five minute documentary focused on the recording of Zevon’s farewell album. Also, it’s worth checking out Enjoy Every Sandwich, a terrific Zevon tribute album. “Excitable Boy” and “The Overdraft”, 1982. “Trouble” and “Lawyers, Guns, & Money,” 1988 (Late Night’s Sixth Anniversary Show). “Searching for a Heart,” 1991. “Roland, The Headless Thompson Gunner,” 1992. “One of my heroes,” says Dave. Warren filled in for Paul Schaffer a few times over the years. This was one of my favorites, the spit take music. Another one of Warren’s plate appearances in the role of designated hitter. A supercut of all those Paul Shaffer stand-in jokes. “Porcelain Monkey”, 2000. Come for the music, stay for the Tylenol PM bit. “Hit Somebody (The Hockey Song)” Letterman appears on the album version of this song, penned by Mitch Albom, shouting, “Hit somebody!” as Paul Shaffer does in this performance. If you’re not already a Warren Zevon fan, watch his four-part final appearance and become one. Twenty years of complicity. Too many good moments to call out any one here. 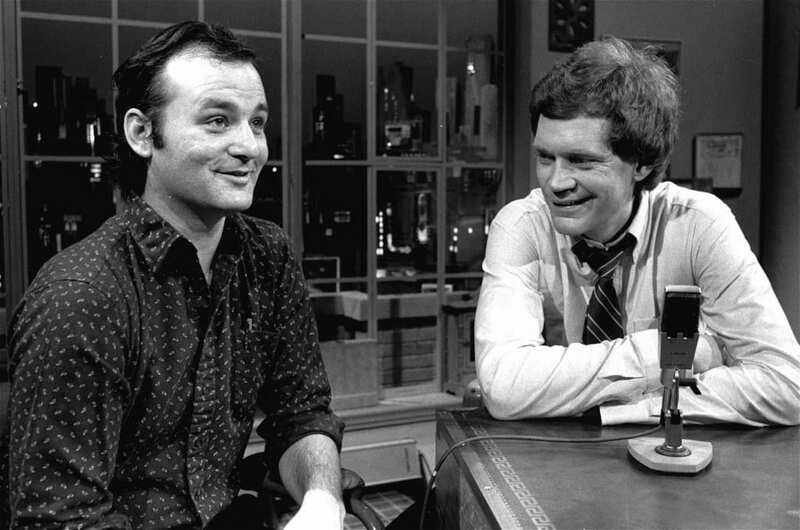 Letterman announced Zevon’s death and replayed clips from his final appearance. And finally, Inside Out, the VH1 documentary from the summer of 2003, which details the recording of Warren Zevon’s final album, The Wind. Late in 1981, Dave Letterman was the age that I am now, 34. 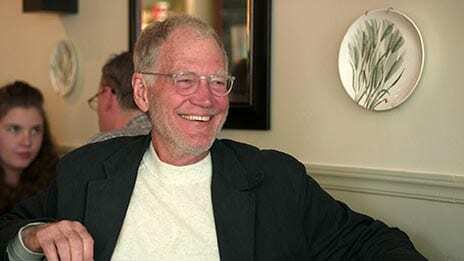 His nationally televised morning show, The David Letterman Show, had been cancelled by NBC. When he sat down for this intensely personal interview on a short-lived CBS Cable program called Signature, he was a few months away from taping the first episode of a brand new type of program, Late Night with David Letterman, displacing Tom Snyder’s 12:30AM Eastern time show, Tomorrow Coast to Coast. Before Late Night would come to define the era, before the man who would finagle his way onto our TV sets night-in-and-night-out for an astounding thirty-three years, outlasting his mentor and all his competitors, hosting more guests for more years than anyone in television history, before repeatedly touching the zeitgeist with segments never-before-seen-on-television, segments groundbreaking in their strangeness, in their whimsy, in their stupidity, in their contribution to the art form, Dave Letterman sat down for a soft-spoken interview filmed in close-up and allowed himself to get as personal as the world would ever seen him. Though he’d clearly been humbled by the loss of his first nationally-televised program, the elements of future versions of David Letterman are all there. He’s self-deprecating to a fault. He’s quick to speak, self-consciously explaining, “Anything you hear that sounds like a set up, you feel obligated to fill in the punchline.” And yet, he’s clearly as nervous as he’d ever be. His hands cover his face for much of the interview. This moment in his career is most inspiring to me. When he missed the opportunity in 1992 to host The Tonight Show, while many have correctly pointed to that debacle as character building, as the catalyst that turned Dave into the misunderstood underdog of late night, I don’t think it was as hard for Dave to dust himself off and charge forward following the seemingly massive missed opportunity thanks, in part, to his experiences a decade earlier. In losing his morning show in 1980 and going without work for most of 1981, Dave learned a valuable lesson in resilience. His toughness was formed in these early flounderings where good content failed in the wrong forum. And in watching this twenty minute clip, understanding this may well be a low point, I’ve drawn inspiration to find my own grit, to face life more fearlessly, and to understand that failure happens. It’s what we do with failure that defines us. As Dave signs off tonight for the last time as the host of The Late Show, it’s my hope that in his ride at sunset, he glances back, if only for a moment and realizes how far he’s come, appreciates the endurance that got him here: a real American boy fully living out the American Dream. A massive hat tip to Rolling Stone’s Josh Eells for referring to this interview in his May 13th cover story.